Another Motown Junkies bonus: a fascinating little snapshot of the Supremes in 1965, as interviewed in New York by Doctor M’Benga from Star Trek Motown executive and media mogul Booker T. Bradshaw. Even at this relatively early stage of the girls’ superstardom, Diana comes across as the de facto leader, already old beyond her years, correcting the mistakes and off-message impressions given by the other two; worldly, husky-voiced Flo is earthy and breaks the wholesome, sophisticated image Motown is so obviously trying to cultivate here at least twice, to Diana’s obvious disapproval, in a dark harbinger of her future; and amiable, kind-natured Mary is their Ringo, sounding the youngest and most artless of the three. BOOKER BRADSHAW: From Hitsville USA, the home of the world-famous Detroit sound, we invite you to meet Motown Records’ golden girls, the undisputed queens of popular music, the Supremes! Diane Ross, Florence Ballard and Mary Wilson. Well tell me, Diana, how did it all begin? DIANA ROSS: Oh! Mmmm. Boy. Long time now! We started singing when we were about 13. We got together in the neighbourhood, because we all lived in the same neighbourhood, and we went to the same church, and Mary and Florence went to the same school… but a group PUT us together, really, the group now the Temptations, but after we came to Motown we changed our name to a better name, you know, something that meant something. BRADSHAW: And that was the Supremes? DIANA: That was the Supremes. BRADSHAW: Well, how did you pick that name? DIANA: Well, I didn’t really pick the name, because, uh, Florence did most of the picking of the names. But, uh, I didn’t like the name Supremes at first, and she’ll tell you how she got that name. BRADSHAW:Florence did? Well, how about it? FLORENCE BALLARD: I was given, um, a little teeny piece of paper, with ten names on it, and I picked Supremes because it was different, and, um, I liked it, and at that time we needed it because we had a record coming out the next day. BRADSHAW: (laughing) I see! Well I think everyone’s familiar with the Supremes now. You girls must have travelled, I guess, hundreds of thousands of miles all over the world entertaining fans. Um, Florence, what’s your most unusual experience when on tour? MARY WILSON: (shouting excitedly) You remember the one in Germany?! MARY: You remember the one in Germany?! FLO: (mock irritated) Yes, I remember the one in Germany, Mary. FLO: We was singing with a pre-recorded tape, and, uh, we was just dancing and singing, and the tape broke! FLO: (taking a moment to process Mary’s reaction) …Yes. So you can imagine what we went through. But we kept going, and, um… the show went on. BRADSHAW:Right. Where… What part of Germany was that? FLO: Yeah, the next day. DIANA: The very next day. FLO: …Early the next morning. BRADSHAW: Well, what happens in a situation like that, um… how do you get your note, I mean, what do you sing about? BRADSHAW: Anything that’s on your mind? BRADSHAW:…What’s on your mind right now? DIANA:…we just try to all harmonise, y’know, and make it… Like, right now? BRADSHAW: Well, that sounded lovely. DIANA: (mock chanting) More! More! More! BRADSHAW: When you girls get a rare moment to relax, what are your hobbies? BRADSHAW: (laughing) Little old diamonds and things like that! BRADSHAW: Speaking of fashion and jewellery, you girls have a lovely flair for dress both on stage and off. How do you decide what you’re going to wear? DIANA: (cutting Mary off again – I get the feeling the girls were specifically asked to make this next disclaimer and Diana wasn’t sure if Mary had forgotten) One thing, we constantly shop because we have to, we need a lot of things for a lot of different shows, so we constantly shop. BRADSHAW: Well I can understand that. Now, here’s a tough question – I know it’s unfair to you, but who are your favourite artists, just a few of them? Mary? BRADSHAW: Well, I see, I think you’ve done well. How about it, Florence? FLO: Well I tend to like the male vocalists best..
BRADSHAW: (simultaneously) Well, I can understand that! FLO: Matter o’fact, all of ’em. FLO: And, um, I can’t leave out the British groups. I think, um… Well, I don’t have to think, I know! I like the Beatles. BRADSHAW: Well I think you’ve got a lot of company there. What about you, Diana? DIANA: Well, not just the Beatles, I love them really, but there’s so many British groups that we met when we were over there that, uh, were really very good groups and also good friends, but as we were in London, we saw the Lena Horne show, and they were very fabulous performers, they had an act laid out that was beautiful, you know? Also, nobody but: (shouts) MAR-VIN GAYE! FLO: We love him! We love him! We love him! BRADSHAW: Okay! (laughing) Well now that you girls have become, I’d say, America’s and the world’s number one singing group, what are your plans for the future? Diana? DIANA: Well we’ve got, um, we’ve got great plans. Right now, we’re going into bigger and better club work all over the country, and, uh, we have bookings in London, and here in New York and everything. But, uh, we all want to go into, uh, acting. We’re big hams, you know what I mean? We act on and off stage! DIANA: But other than that, we’re going to always continue to make records for our fans, because this we love, and we want to do something that will make them happy and that also makes us happy too. BRADSHAW: Well I think as long as you continue to sing as well as you do, you’ll make your fans more than happy. We all wish you the best of luck, Supremes. FLO: Thank you very much. The “Agree/Disagree” buttons are somewhat redundant here, I suppose. I liked the way you presented it. I could hear their voices and intonations. Three young women who were still beginning an astounding journey…. Great job as usual Steve D! Agree! People like to always focus on the drama. This finally showed up on the 25th Anniversary vinyl and CD set in 1986 -with my beloved “It’s All Your Fault”- and that’s where I first heard it. It’s probably a good thing, that like the Phil Spector production, I never knew about this little George Alexander diversion in its time, or I would have driven my family crazy searching for it like a holy grail. 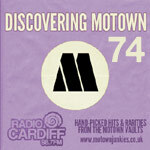 And Ross’s arch pushiness is quite evident already, and a good deal of Powell-ish put-on artificiality, but as a snapshot of Motown’s most irresistible artists, during their greatest year ever, it’s priceless. Okay let’s move on…my favorite Tempts 45 is up next!!!! Super congratulations!! 🙂 Holy smoke. Did we even know you were expecting another…?! What can I say but….congrats. 😦 Unfortunately, we still live in a world where sad news continues as well. Miracle Bobby Rogers is gone. This was really a treat to hear! During this point in time the girls were at that Britney Spears “I’m not a girl, not yet a woman” phase. They sound sophisticated, yet silly at the same time. It’s interesting to hear their personalities come through. Florence is the most approachable while, Mary is the most youthful and Diana was the leader and I think most sensible one or like Bradshaw said the intelligent one. I love the “we’re going on to bigger & better things” attitude that all 3 girls possessed during this interview. I first heard this in 1986 on the 25th Anniversary lp. Fun to hear them “answering” questions. I say it that way because this is actually the final product of several takes. I have a bootleg recording of all of the takes (I guess it’s all of the takes, I don’t really know), and it’s interesting to see how the interview evolved, and it’s obviously very rehearsed. One more anecdote about Mary’s selective memory: Later in her book Dreamgirl, Mary gives yet another flawed account of an interview, this time Flo’s final appearance with the group on The Tonight Show. Addressing rumors that the Supremes were breaking up, Diana mentions that there were stand-ins for the other girls in case one couldn’t make it to a live performance. True. Flo’s unreliablity and erratic behavior necessitated that. She also said that there was no stand-in for her, which was also probably true. Diana Ross was the face and voice of the Supremes, and a ticket-buying audience would have been very disappointed if she hadn’t shown up and was replaced by someone else. Mary claims in her book that she hadn’t known about a stand-in for her. Well duh. Did she honestly think that, after all of Flo’s shenanigans, Gordy wouldn’t have a backup plan for her (Mary) as well? Sheesh. I’d bet that the stand-in was probably Marlene Barrow of the Andantes, who had also acted as a replacement for Flo. But the big misstatement in Mary’s account of the Johnny Carson interview is that, after Diana’s assertion about stand-ins, Flo then monopolized the interview and gave thoughtful answers to Johnny’s questions. Bull pucky. I have a bootleg copy of that interview on video, and no such thing happened. Oh well. Yes Robert! Please tell the truth…I’ve read Mary’s book and I’ve seen these flaws in the story as well. Haha… The funny thing is, the 25th Anniversary album came out only a few months before Mary’s first book. By that time, I pretty much knew the interview by heart, so I was a little surprised to read Mary’s account of it. Of course, I did listen to the interview again just to verify, and I was right. I guess Mary never counted on Motown releasing it for everyone to hear! As for the Carson interview, you have to depend on bootleg for that one. All of Carson’s shows for the first ten years of its run (’62 – ’72) were taped over instead of preserved. If you’ve ever seen Ross’s 1977 TV special (again, you’d have to rely on bootleg these days for this one), An Evening With Diana Ross, you have seen a snippet of that appearance, when her earring falls off during a close-up shot while they’re performing The Lady is a Tramp. This leads me to believe that someone, probably Carson himself, had a pristine video of that show. The one I have isn’t pristine, but it’s watchable and it’s priceless (in more ways than one). The girls are wearing non-matching mini-dresses. Diana’s is very shiny, and I think her stockings are white. Carson makes a crack that she looks like Dale from Flash Gordon. Anyway, they do address the stand-in issue as Mary reported, but Flo does not dominate the interview at all. And I love Flo. She’s probably my favorite Supreme. Speaking of earrings falling off, have you ever seen the group’s performance of You Can’t Hurry Love from the Ed Sullivan Show? It’s almost imperceptible, but when she’s singing, I think it’s “but I keep on waiting, anticipating,” her right earring falls off and lands in the crook of her right arm, the one that’s holding the microphone. Without missing a beat or even looking at it, she catches it with her left hand and keeps on singing. She even extends her left hand in a Stop-like move with the earring in it. Next close-up, her right ear is ring-less while her left ear still holds its huge, glittery jewels. Sorta fits in with her off-kilter wig! The lady was, and is, such a pro. And the way she caught that earring reminds me of her athletic, tomboyish youth. Funny you should mention the Sullivan performance of “You Can’t Hurry Love” I watched my Best of The Supremes on Sullivan show DVD last night (I felt they left 1 of the best performances out which is when the do the Mame & Second-hand Rose bit) anyways I always find the “You Can’t Hurry Love” performance enchanting. The girls had a new glamour swag, looked beautiful and Flo looked like she was actually having a good time lol. I agree Ross was such a pro & perfectionist she didn’t skip a beat when that glittery earring fell. It reminds me when she messed up on the “I Hear A Symphony” opening on the Steve Douglas show (I think). If you didn’t know the song you would have never known. I saw her last year and she is a vibrant and a pro as she was back in 65. Do you some how have a way that I can see this Carson footage???? I would love to see it as a young Ross enthusiast lol. Do you comment on any of the Youtube footage of the Supremes? Here they are dong The Happening from that appearance. You may have seen this already. This clip was from the EWDR special, that’s why there’s a voiceover from Ross. I thought the Lady is a Tramp earring clip was on YouTube as well, but apparently not. It’s very brief, only a few seconds long. As for the interview, I’d almost have to dig it out and watch it and transcribe it for you. The video quality is horrible, not even as good as the clip of The Happening. I’ll see if I can find it and, oh, see if my VCR still works! Oh wow this is great! I’ve never seen it before. Thanx for the share! Damecia… New thread! I hate it when threads start to strrrrrrrrrrretch out, LOL. “It reminds me when she messed up on the “I Hear A Symphony” opening […]” Oh yeah, that. That moment is so telling. She was, what, 21? And she was suddenly in the position of, at least commercially, carrying the weight of Motown on her scrawny shoulders. Yes, she was. The whole group was, in fact, but she bore the weight of the group as well. Lots of responsibility for a young girl not quite a year out of the projects. So, she had to learn all these lyrics to all these new songs and perform them live all the time. And not only do that, but excel at doing it. No other act at Motown ever had that much responsibility, not before or since the Supremes. And no other single artist ever had as much responsibility as Diana Ross did in those early days. On the (Mike) Douglas show, my absolute favorite moment is when she realizes her mistake, finds her place in the song, and closes her eyes and nods slightly like, I’ve got this now. And the way Mary and Flo just keep going, in a way helping her to find her way back. One humorous note: On the Carson appearance, Mary is wearing what some of us gay male fans refer to as the I Dream of Jeannie wig. If I’ve commented on any Supremes videos on YT, it’s under the name thatsmisterrobert2u. I don’t think I’ve done much commenting, though. It can get very messy in that realm. Preach the truth brother Robert! Yes I also love that eye closing moment….Ross could have been a complete mess, but with the help of the girls going on like nothing was wrong was great on their part too. I think people forget just how young they were…especially Ross because as you have mentioned she carried Motown and did thing no other artist did or will ever do in a lifetime. Alot of pressure, but she maintained. That’s awesome!!! You do such a good job emulating her vocal performance, and yet you bring it up to date with your own stylings. Good job! P.S. That’s one of my favorite of their early efforts. It’s so clean and light and uplifting, and they all do a wonderful job. I listen to it often. My favorite part is when she sings “I hope you understand my position, I’m so in love with you…” It’s light and yet poignant. It is to my understanding the song is an unreleased track. Is that correct? Yesterday I dug out my CD with the different versions of the interview. I didn’t listen to them all the way through, but there are five takes, so five different versions apart from the final released product, which is not on that CD. It’s interesting to hear them being themselves instead of the polished young ladies that Motown presented to the world. Also, the CD has them doing a radio spot for their fans in two places, and dang it, I can’t remember the first but the second is Malaysia, or as they’re coached to pronounce it, Malay-zee-uh. That one is really a hoot. They continuously mess up through about seven takes and I don’t think the final one is included, because they never quite get it completely right. And at one point Flo says something that’s a little difficult to understand, but it sounds like “Smoke me, big daddy…” with an emphasis on ‘me.’ Reminds me of the dressing room scene in the TV special The Supremes in the Orient, when Flo half-jokingly asks if the camera people are going to get out of the room, “‘Cuz they might peek…” She was so funny. Ah, I could go on and on. Thank God for bootleg. Without it, we might not have much of an idea of what went on behind Motown’s carefully controlled façade. Now i remember where i heard this. Some kind of 3 album set released in the mid 80’s. I probably played it through 3 or 4 times and forgot i had it. Gotta look for it.